St Patrick’s Day is one of those rare national holidays which resonates all over the world. To celebrate, we’re publishing the US Passenger Lists, which document arrivals of over two million immigrants into America from Ireland and the UK between 1846 and 1890. You can discover whether your ancestors were among them by exploring our US Passenger Lists. The Irish took their history with them when they crossed the Atlantic centuries ago. Though it has its origins in 4th century Britain, St Patrick’s Day was celebrated for the first time publicly in 1737 in Boston, already home to a burgeoning Irish population. 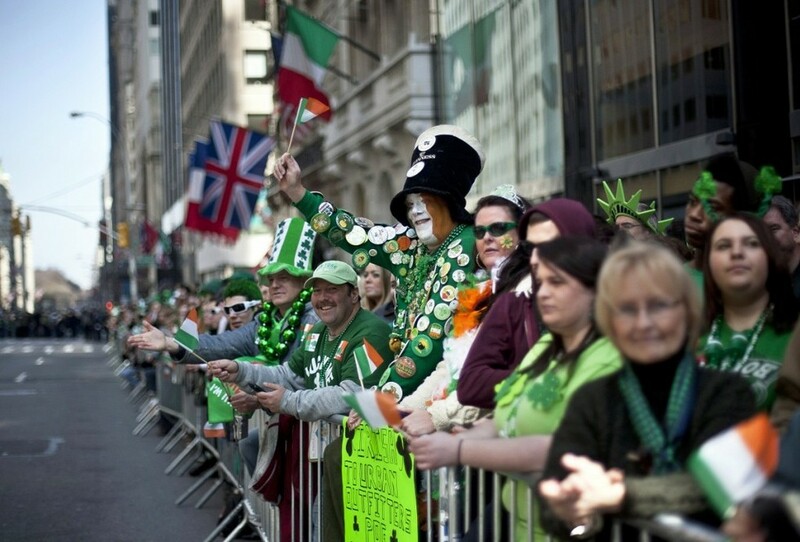 The first St Patrick’s Day parade in the United States took place in New York in 1762, and nearly 200 years later in 1931, a parade was held in Dublin. St Partick’s day remains a landmark festival honouring Irish heritage, observed from Ireland to Japan, New Zealand, Canada, the US, Argentina, and the UK. Though originally born in Britain, St Patrick made Ireland his spiritual home thanks to a succession of extraordinary events. Captured by Irish raiders at just 14 years old, St Patrick lived as a slave herding sheep for six years until he was able to make his escape and return to England. He became a priest, and thereafter took it upon himself to return to Ireland as a missionary. Folklore has it that St Patrick used the shamrock to illustrate the concept of the Holy Trinity as he spread the Christian word throughout the country. St Patrick remained in Ireland for three decades, baptising newly converted Christians in spite of consistent opposition from pagan leaders. He was canonised by the local church following his death on March 17th, and is remembered as the patron saint of Ireland.